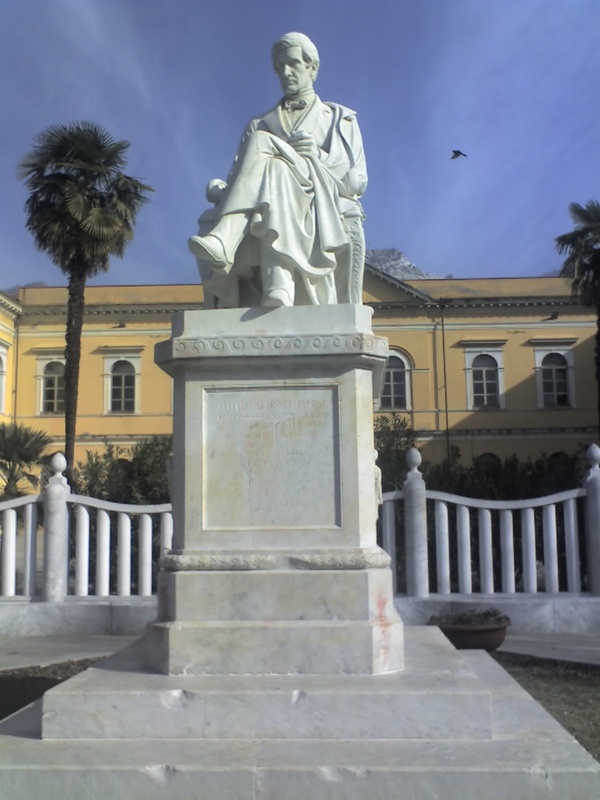 One of the key events during the revolutionary upheaval of 1848 in Italy took place on this day in that year when the politician Count Pellegrino Rossi was murdered at the Palazzo della Cancelleria, the seat of the government of the Papal States in Rome. The event precipitated turmoil in Rome and led eventually to the formation of the short-lived Roman Republic. Rossi was the Minister of the Interior in the government of Pope Pius IX and as such was responsible for a programme of unpopular reforms, underpinned by his conservative liberal stance, which gave only the well-off the right to vote and did nothing to address the economic and social disruption created by industrialisation. 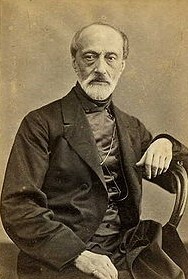 Street violence, stirred up by secret societies such as Giuseppe Mazzini’s Young Italy movement, had been going on for weeks in Rome and Rossi had been declared an enemy of the people in meetings as far away as Turin and Florence. There was also anger in Rome at Pius IX’s decision to withdraw the support of the Papal Army from the First Italian War of Independence, being fought between the the Kingdom of Sardinia (Piedmont) and the Austrian Empire. However, as he climbed the stairs leading to the assembly hall, an individual stepped forward and struck him with a cane. Rossi turned towards his attacker and as he did so was set upon by another assailant, who drove a dagger into his neck. 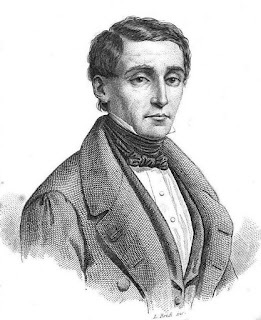 The murderer was said to be Luigi Brunetti, the elder son of Angelo Brunetti, a fervent democrat, acting on the instigation of Pietro Sterbini, a journalist and revolutionary who was a friend of Mazzini. Though members of the Civic Guard were in the courtyard when the attack took place, no one attempted to arrest the count’s killer and when crowds gathered later at the house of Rossi's widow, they chanted ‘Blessed is the hand that stabbed Rossi’. 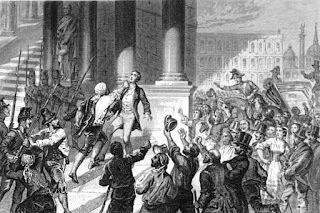 The murder spurred the secret societies to foment an uprising against the papal government. The following day, Pius IX was besieged inside the Palazzo del Quirinale by an unruly mob. The pope’s Swiss Guard was able to hold back the mob for a time but when it seemed the crowd was about to disperse, up to 1,000 members of the Civic Guard, the police, and other soldiers marched into the palace’s piazza and opened fire on the palace, including with cannons. Knowing resistance was useless, Pius IX agreed to negotiate with revolutionaries. Demands were made for a democratic government, social reforms and a declaration of war against the Empire of Austria. Pius IX had little option but to appoint a liberal ministry, but he refused to abdicate and forbade the government to pass any laws in his name. In the event, on the evening of November 24, with the help of close allies and his personal attendant, Pius IX escaped from the Palazzo del Quirinale disguised as an ordinary priest, slipping through one of the gates of the city and boarding a carriage that was to take him to Gaeta, a city 120km (75 miles) south of Rome, where the King of the Two Sicilies had promised him a refuge. It meant that, for the first time in history, Rome was without a government. 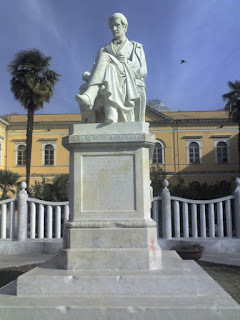 Into the void stepped Mazzini, his supporter Aurelio Saffi and the popular Roman activist Carlo Armellini, who formed a triumvirate at the head of a Roman Republic, which was declared officially on February 9, 1849. 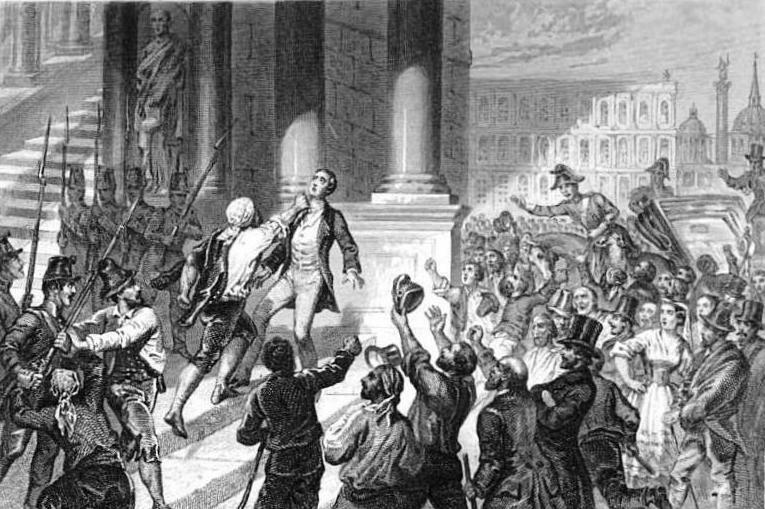 The republic put forward some progressive ideas, including religious tolerance and an end to capital punishment, but in the event it was a short-lived revolution. Ironically, it was crushed by a former ally, Napoleon III of France, who had once participated in an uprising against the Papal States but who now, under pressure from the Catholic Church in France, felt compelled to send an army to restore Pius XI to power. The Romans put up a fight, aided by a Republican army led by Garibaldi, but the city fell in late June and with it the Republic. The Palazzo della Cancelleria, which is situated between Corso Vittorio Emanuele II and the Campo de' Fiori, is a Renaissance palace, probably the earliest Renaissance palace to be built in Rome. It is the work of the architect Donato Bramante between 1489 and 1513, initially as a residence for Cardinal Raffaele Riario, who was the Camerlengo - treasurer - of the Holy Roman Church under Pope Sixtus V. It evolved as the seat of the Chancellery of the Papal States. The Roman Republic used it as their parliament building. 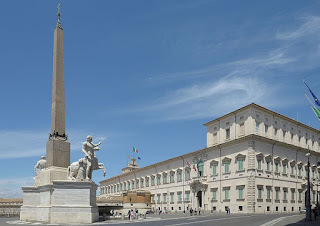 The Palazzo del Quirinale was built in 1583 by Pope Gregory XIII as a summer residence and served both as a papal residence and the offices responsible for the civil government of the Papal States until 1870. When, in 1871, Rome became the capital of the new Kingdom of Italy, the palace became the official residence of the kings of Italy, although some monarchs, notably King Victor Emmanuel III (1900–1946), lived in a private residence elsewhere. 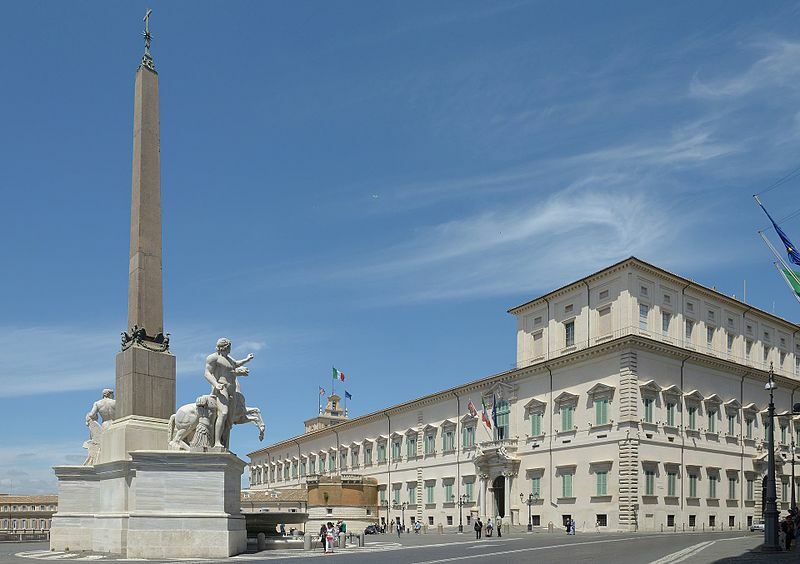 When the monarchy was abolished in 1946, the Palazzo del Quirinale became the official residence and workplace for the presidents of the Italian Republic. So far, it has housed 30 popes, four kings and 12 presidents.